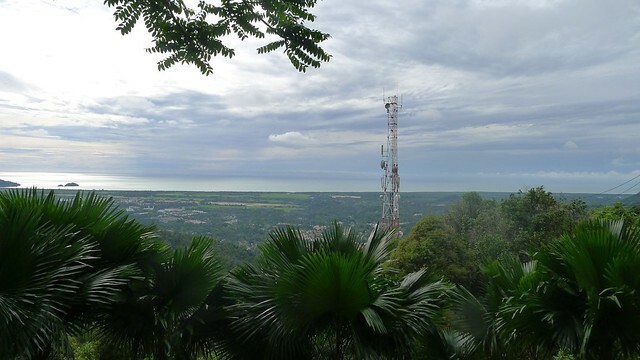 #1: Balik Pulau from the mid-hill viewing platform. 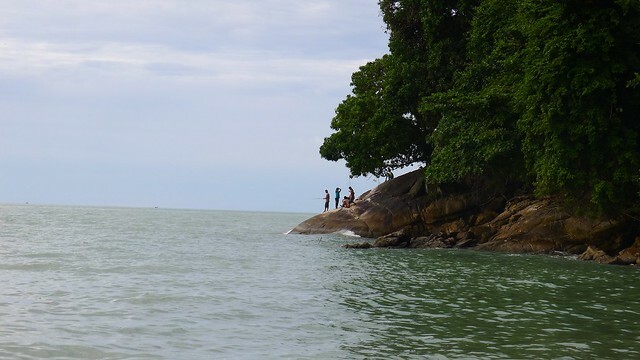 The Hidden Beach – Pasir Panjang Beach, Balik Pulau – In Penang, when we discuss about beach, I am sure you will think about the famous Batu Feringhi beach, further on you will find Monkey Beach and Pantai Kerachut hidden in the Penang National Park at Teluk Bahang. 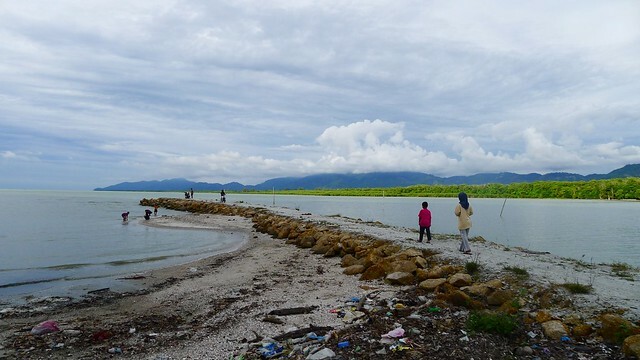 Another well-known one is the Pantai Acheh, well-known because of the site being hit by tsunami in year 2006. 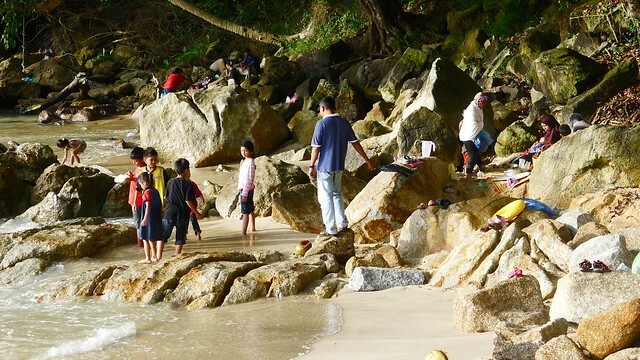 However, on the back of the Penang Island, located far south of Balik Pulau, there’s a hidden beach filled with some locals who go there for picnic – the Pasir Panjang Beach. 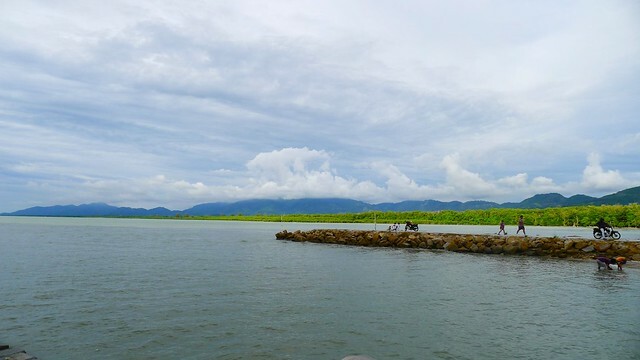 #3: The small island is Pulau Betong. 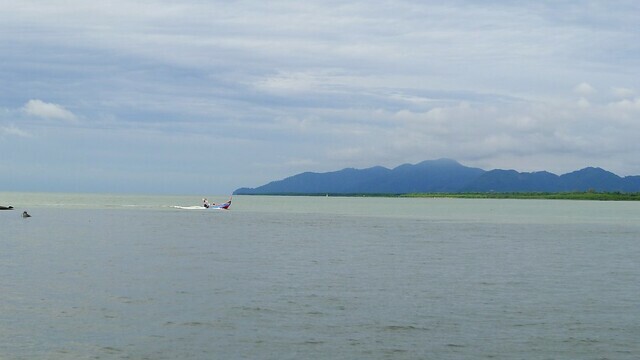 Lastweekend, brother, brother’s girlfriend, me and cousin went for a road trip to the back of the island – Balik Pulau, which reveals a quiet side of Penang. 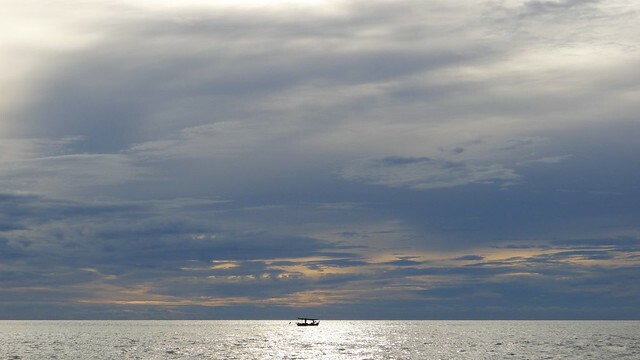 Initially, our plan was to find the Balik Pulau Visitor Centre, rent a bike and go for a bike trail, but we failed to locate the centre and randomly, we followed the sign of towards ‘Pulau Betong’, hoping that we could find a good spot to enjoy the sunset. 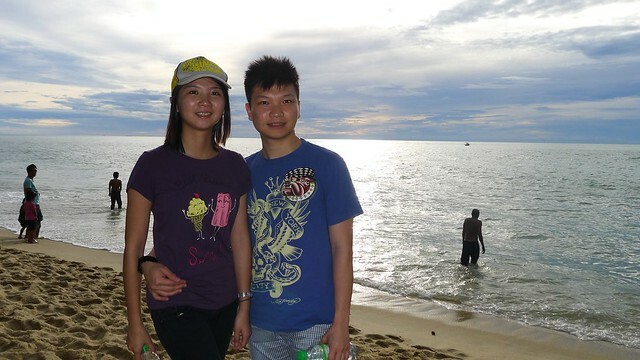 We did in fact came to a fishing village, the Pulau Betong Fishing Village which has a fish market at there. The fish market is often visited by the locals, in fact, I did came here before a few years back. A further deep into the fishing village, we found ourselves, nearer to the sea. There’s a dirty beach as well as a jetty. Since the beach was dirty and at that location, we couldn’t really see the sunset as it was block by cape. We then decided to drive further down the road, pass the cape to find another spot. 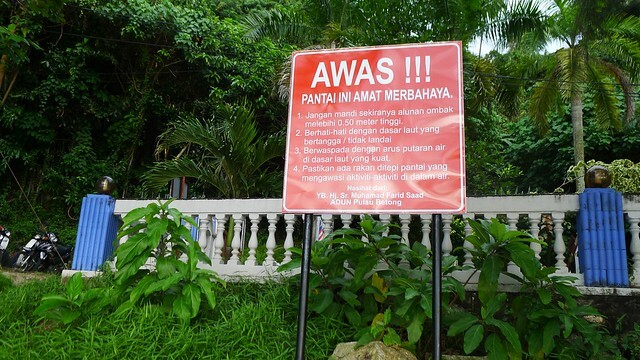 #8: It says that ‘Beware! This beach is quite dangerous’. 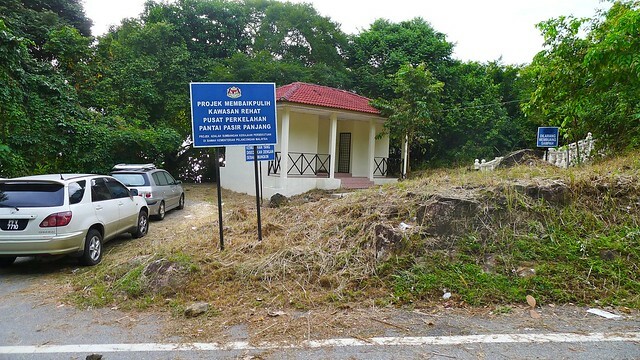 We then came to a dead end, where a Kem Bina Negara Balik Pulau is located at. The camp is use for the government purpose as the name means ‘Building Nation’ Camp. 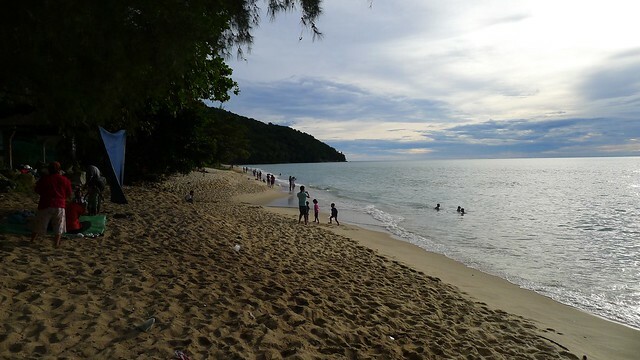 Ignoring the camp, at the side of the camp, there lies the Pasir Panjang Beach. I am surprise to see there’s a stretch of sandy beach at this side of the island, fill with local Malay family at there, swimming and picnic-ing. 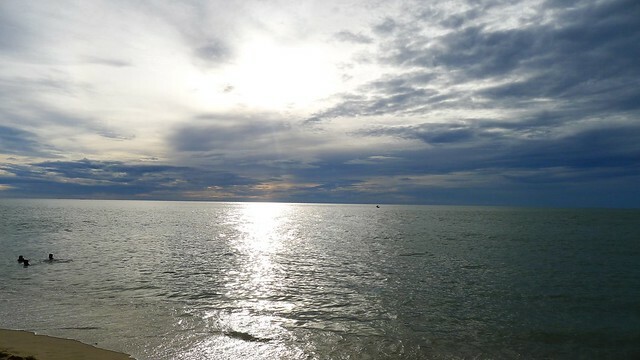 The beach is pretty short, yet it’s a good spot, it’s a cleaner beach after all. The wave at here is also bigger than the wave at Batu Ferringhi, which makes it a little bit dangerous. 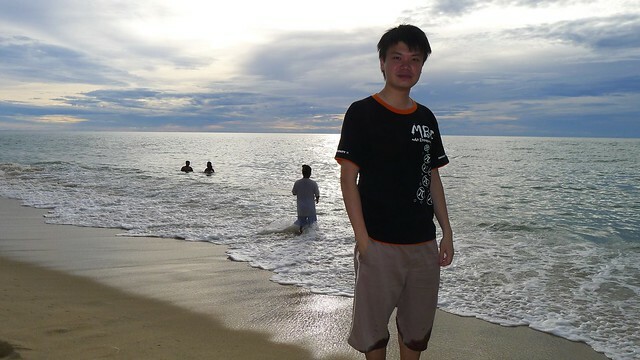 However, the sand at the beach was not soft enough, it’s very rough. 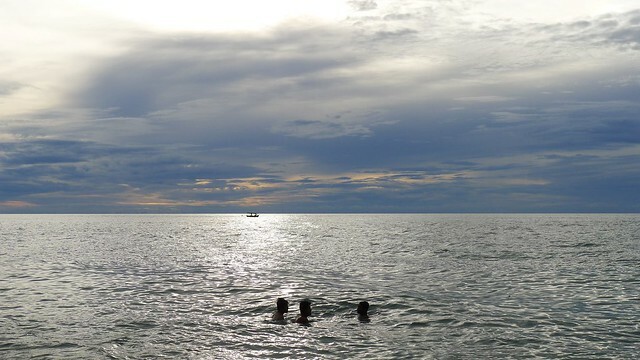 I see people swimming, picnic and fishing at there. There isn’t any safeguards at there as far as I know. The people who can call for help is the visitor at there or the people who live in the Kem Bina Negara. 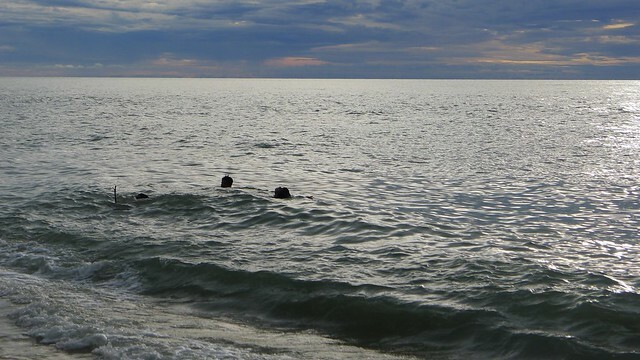 So, it’s swim at your own risk in the sea.